1 1/4" overall length, 5/16" threaded interior. 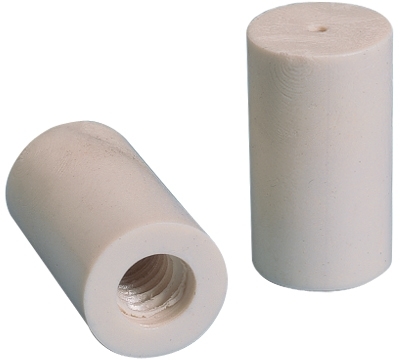 The Porper ferrule is an injection molded, blended polymer that is extremely durable. Machines well, glues well, and is easy to keep clean. Provides a medium hit.